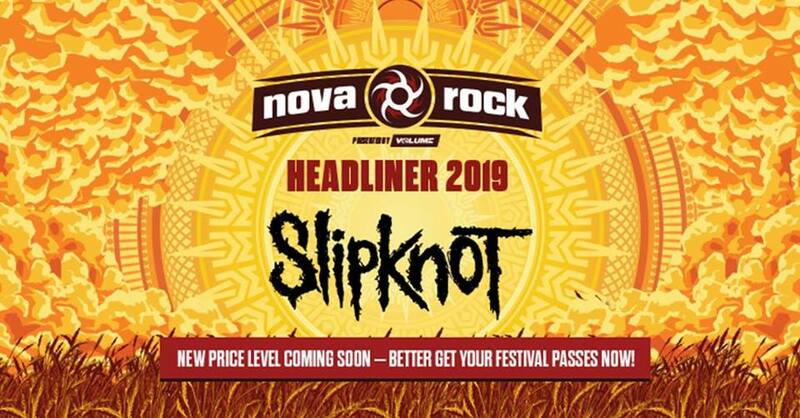 Austria's biggest Rock/Metal Festival, Nova Rock has announced the first headliner for next year's edition, Slipknot! Tomorrow they will announce the first phase of line-up! We can reveal you some of the names already: The Cure, Slash and Bonez MC&Raf Camora.